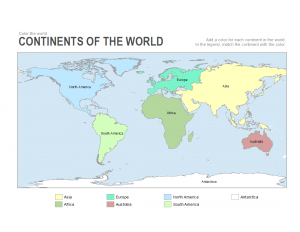 Do you want to teach a geography class using free and printable blank maps? 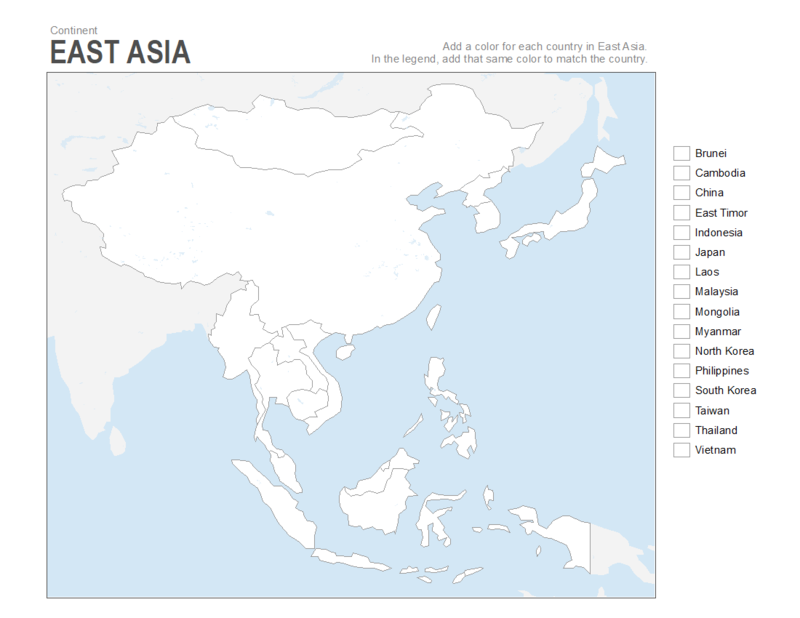 Because we have 7 empty maps with outlines of states, countries and continents to help you get started. These free empty maps are 100% free to use without the need for permission. 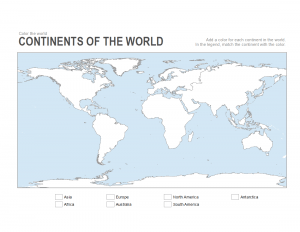 Do you want to teach a geography class using free and printable blank maps? 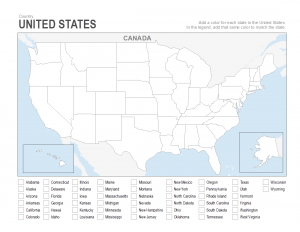 Because we have 7 empty maps with outlines of states, countries and continents to help you get started. How can you use them? First, beginner and early age classes can use these blank, printable maps as coloring sheets. For each country, state and continent, this can help them get familiar with the world. Secondly, students can color each state, country and continent and match the color in the legend. Surprisingly, this little twist can add a lot of difficulty. And the best part is that it’s challenging enough to learn each boundary. First, we have a printable map for the globe and they have to color in continents. 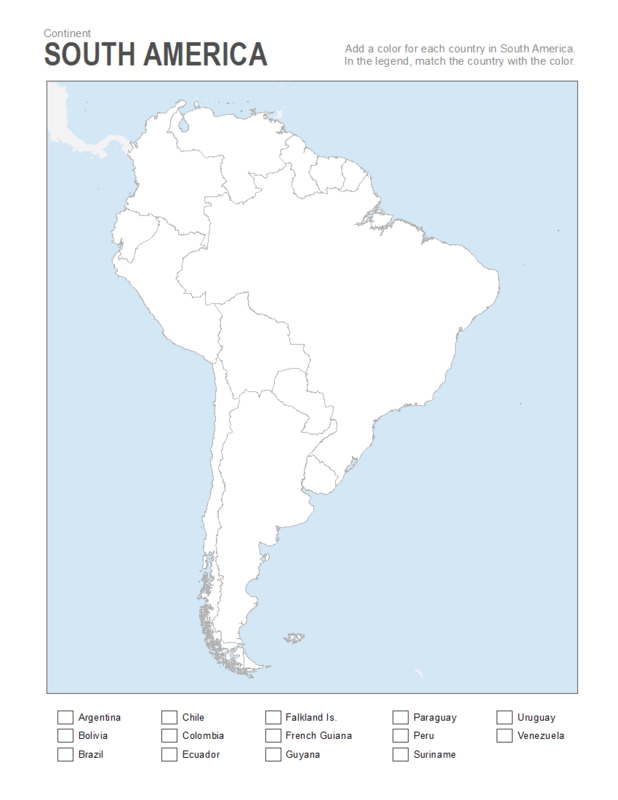 Next, you can download these blank maps for continents like Europe, South America and Asia where they have to color in each country. 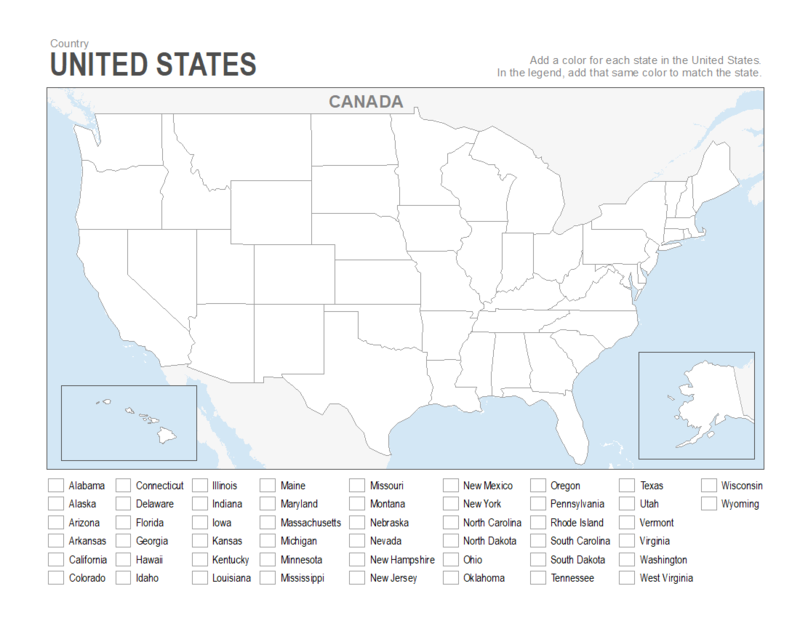 Finally, there is a blank US map where students can identify each state. Like all activities on All ESL, everything is 100% free to use for teaching. There’s no need to ask for permission to use it in your classroom. Please, go right ahead. For all 7 continents, add a color for each one. 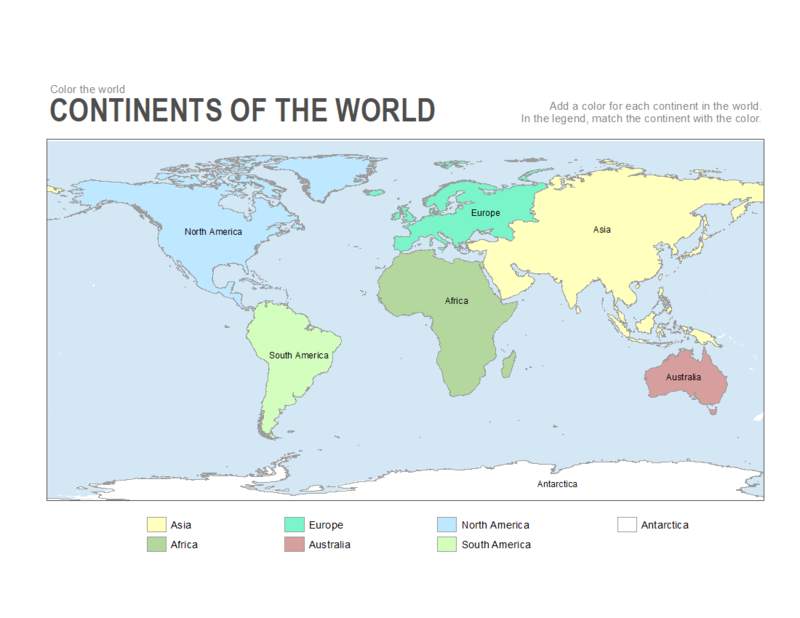 Fill in the legend too by matching the continent with the color. For your reference, this continents map is the answer key for each continent. The legend has a unique color matching the map with labels. 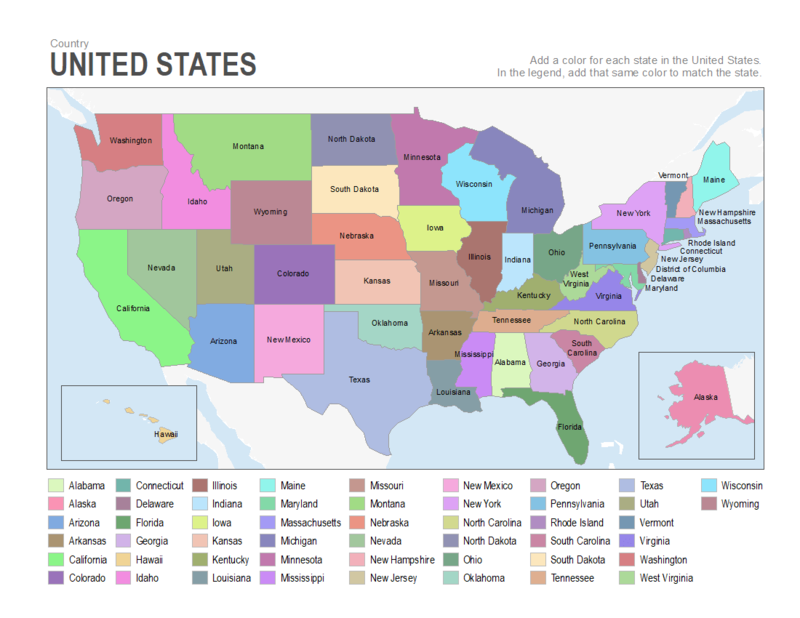 For all 50 US states, add a color for each state in this blank US map. 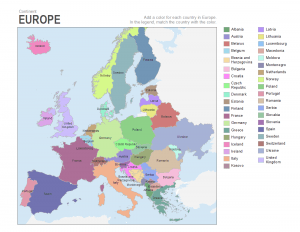 In the legend, match the state with the color you add in the empty map. For your reference, this US map is the answer key. Each continent has a label and a unique color in the legend and map. 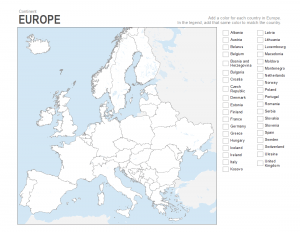 Add a color for each country in this blank Europe map. In the legend, match the color with the color you add in the empty map. 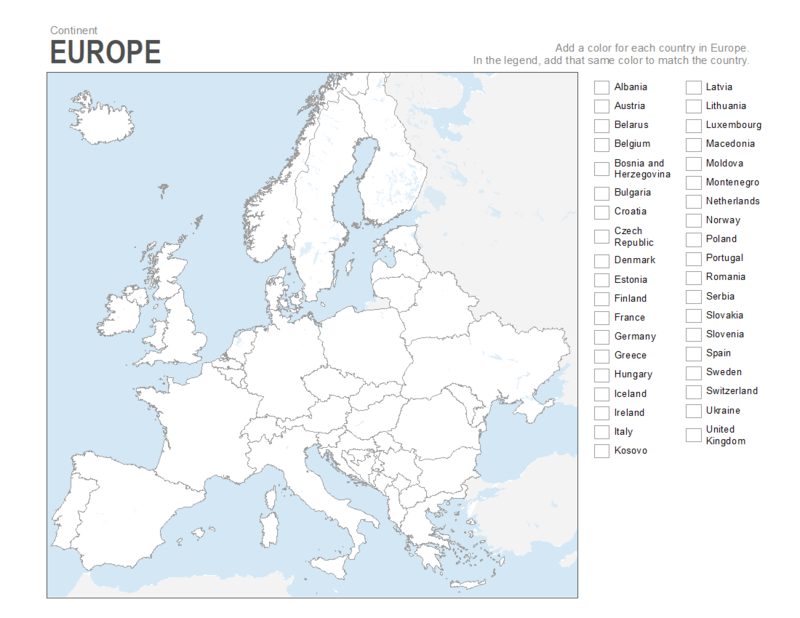 For your reference, this Europe map is the answer key. Each country has a label and a unique color in the legend and map. 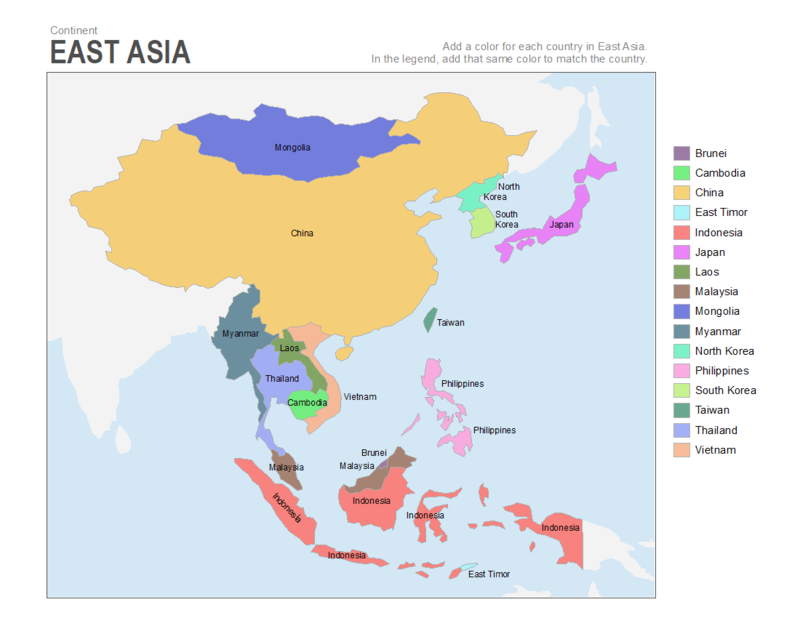 Add a color for each country in this blank Asia map. In the legend, match the color with the color you add in the empty map. Add a color for each country in this blank South America map. In the legend, match the color with the color you add in the empty map. 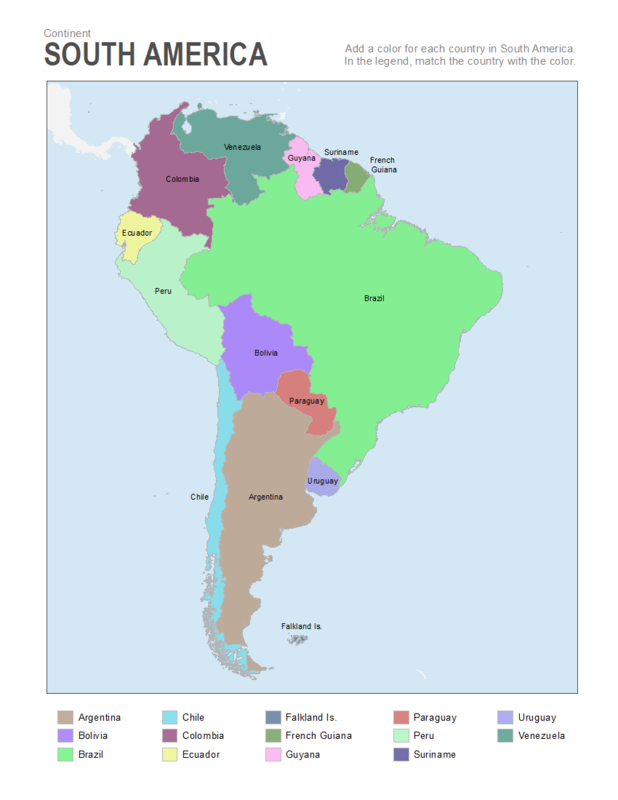 There are 12 countries in this South America map. Each country has a label and a unique color in the legend and map. Add a color for each country in this blank Africa map. In the legend, match the color with the color you add in the empty map. 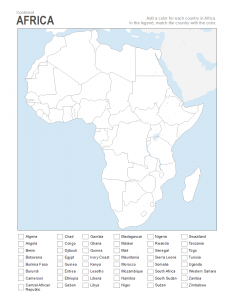 There are 54 countries in this blank Africa map. Each country has a label and a unique color in the legend and map. 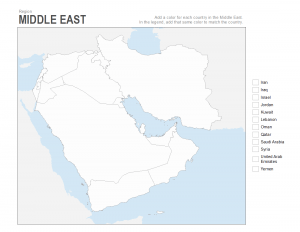 Add a color for each country in this blank map of the Middle East. In the legend, match the color with the color you add in the empty map. For reference, we have identified each country with a label and a unique color in this Middle East map. Geography has always been one of my favorite subjects to teach. 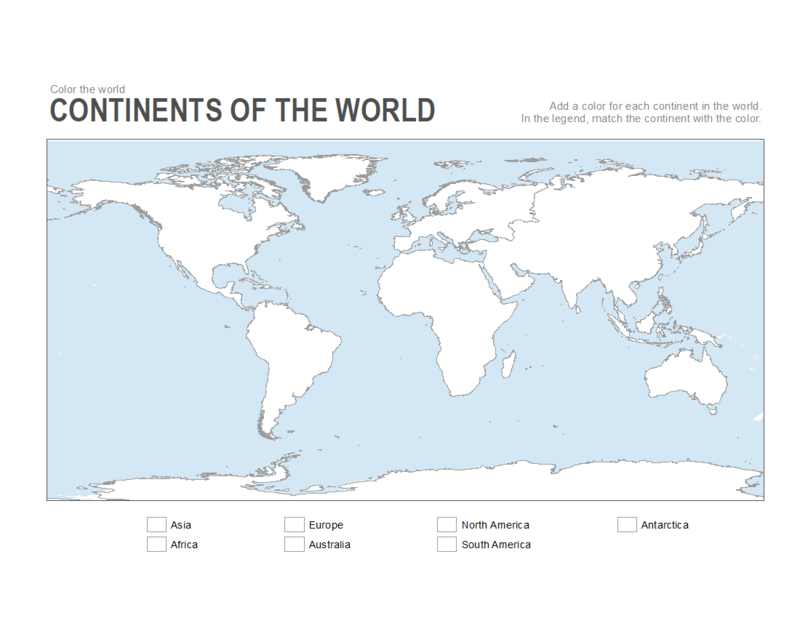 From states to countries to continents, these printable blank maps will sharpen your student’s attention to detail. 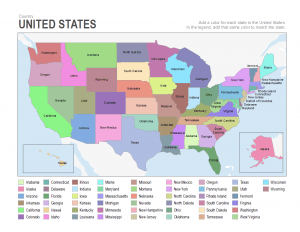 While coloring continental boundaries is easy, US states are quite challenging (for geography teachers as well). 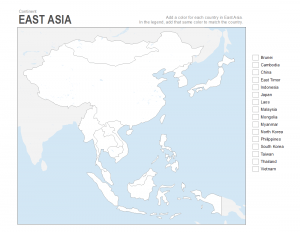 No matter which part of the world you are from, these blank maps are free to download and open to use for any purpose. 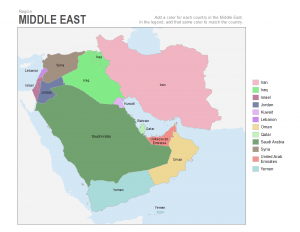 If you have any suggestions for any more printable map worksheets, add your comments below. 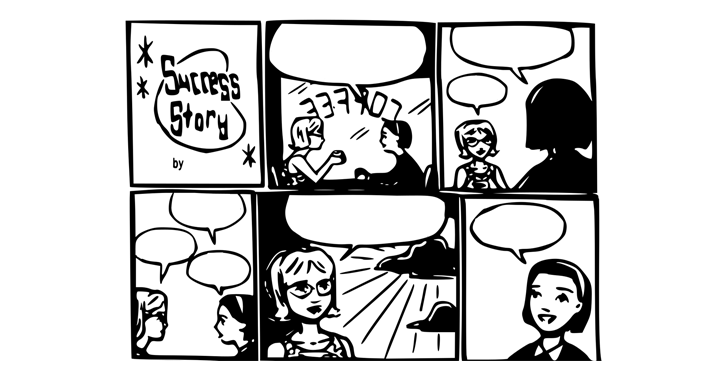 All of our worksheets are free to use for any purpose and ready to print for your classroom. Thank you so much for these. I homeschool my girls, really desiring to give them even more and now I am able to. I have searched everywhere for downloadable maps, exactly as you are providing, and until today, I have found nothing. I really appreciate this, and you. Thank you so much for providing these. We appreciate you. What?! No map of Canada? Love this site but where is map of Australia? 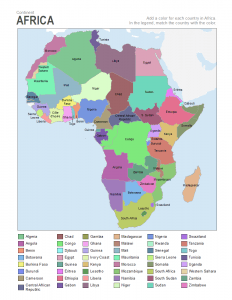 The Africa map is inaccurate. It omits the following countries: Guinea-Bissau, Sao Tome and Principe, Cormoros, Seychelles, and Mauritius. There is one entry for “Congo” when in fact there are both the Democratic Republic of the Congo and the Republic of the Congo. There are two entries for “Guinea” when there are actually Guinea and Equitorial Guinea. (Guinea, Equatorial Guinea, and Guinea-Bissau…three distinct countries.) The Ivory Coast is no longer translated but is officially known in all languages as Cote d’Ivoire. The boundary for Western Sahara is inaccurate, even allowing for the unofficial status of this boundary. Finally, it appears that the northern portion of Somalia is a distinct country…there is a boundary there in error. 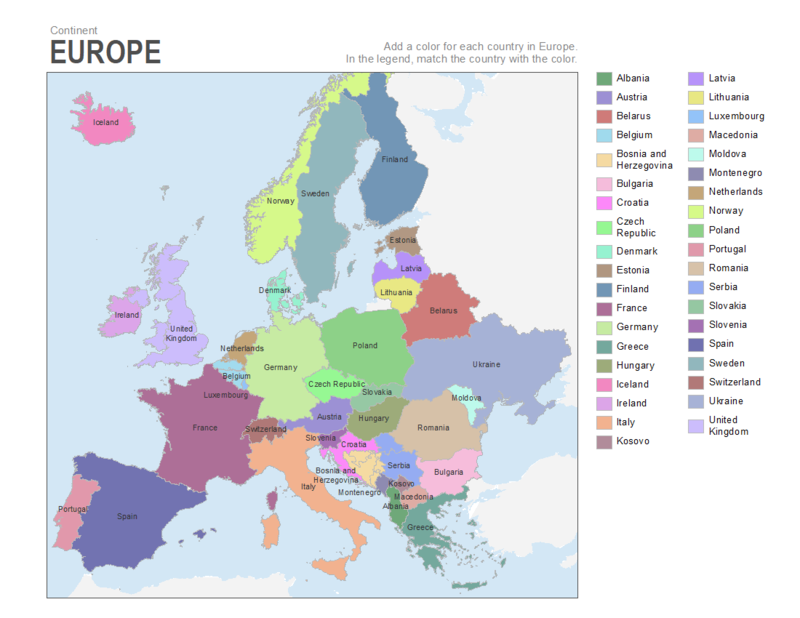 And on the European map, you omitted Liechtenstein, Monaco, Malta, Andorra, San Marino, and the Papal States (Vatican). Belgium inexplicable has a boundary through the middle of it, and Bosnia and Hertzegovina appears as several separate countries. If you care. South America: The Falkland Islands are not a country. They are a territory of the United Kingdom. The UK and Argentina fought a whole war about that. Maze Directions Worksheet: Can You Advance Through the Maze?